Sorry, Joyetech eGo ONE Mini Kit has been discontinued. New Joyetech eGo ONE Mini Kit, an even more compact and still as powerful vape experience! 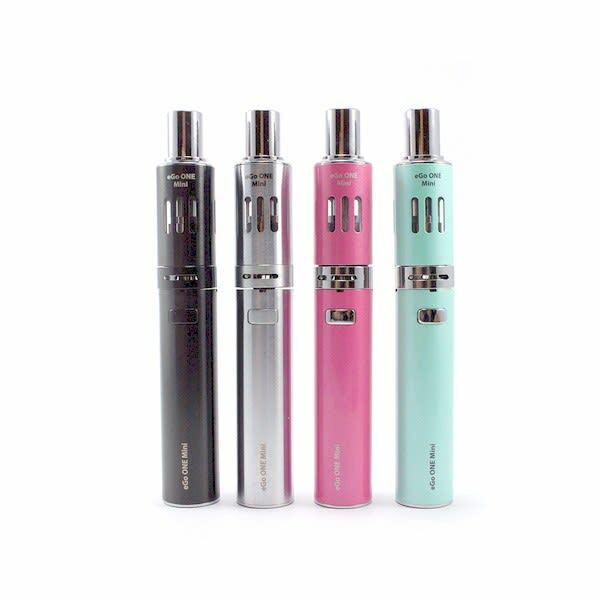 Joyetech has again reduced the size of its line of compact sub-ohm vaping device with the eGo ONE Mini! Joining one of the newest and hottest line of vaping device on the market. Despite its ultra small size, it delivers huge and satisfying clouds of vapour, with either it's 1ohm or 0.5ohm coil. Also available in Mega size, for higher battery capacity and larger tank. Click here to get the Joyetech eGo ONE Mega Kit. Purchased the ego one mini from a different location for about double the regular price.. Tank leaks all the time and had to change the coil after the first day so the seller must not have primed it properly or I lucked out and got the show room dud. Great little device for a first time user, and easily fits in your pocket but again, the tank leaks any time it is not upright. Speaking with another vape store, I was informed that tanks leaking is nothing new with joytech products. I do like this unit, more upset I got gipped by not buying from 180smoke. Powerful little thing, I have been using it for months and have had no problems with it at all.